China and Vietnam are leading trading partners for Cuba, and trade with Russia has increased in the last two years as the countries renewed commercial, military and political ties. Havana: Cuba’s President Miguel Diaz-Canel will visit Russia and Communist-run allies China, North Korea, Vietnam and Laos in early November on his first tour abroad, Foreign Minister Bruno Rodriguez said on Wednesday. Following a news conference focused on what Rodriguez called the US decision to advance down a “path of confrontation,” he said Diaz-Canel would also transit through some western European capitals, without offering details. Tensions between the island and the United States have escalated under US President Donald Trump, who has reverted to Cold War characterizations of Cuba and partially rolled back the detente embarked upon by his predecessor Barack Obama. Cuba and the Europe Union have improved relations in recent years, with the EU dropping all sanctions on the Communist-run island and negotiating a political dialogue and cooperation agreement. 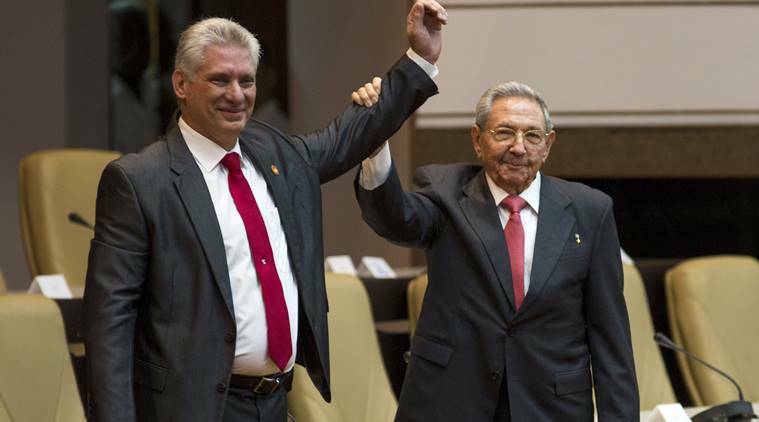 Diaz-Canel, who took office from his mentor Raul Castro in April, made his first visit abroad as president to ally Venezuela. In September, Diaz-Canel made his first visit to the United States to participate in the United Nations General Assembly. Cuba has little trade with North Korea and Laos but maintains strong bilateral relations with them.